Spinners and Spoons, a collection of poems and prose by Lemon Tree Writers Catriona Yule, Knotbrook Taylor, Helen Elizabeth Ramsey and Haworth Hodgkinson (Koo Press), was launched to great acclaim at WordPlay, the Shetland Book Festival, in 2005, and Dead Good Poets hosted its Aberdeen launch at Books and Beans in February this year. Now for this wordfringe event, the authors will read from their work, accompanied by visual imagery, dance and music created in response to the work. 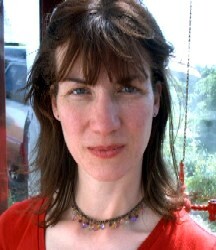 Catriona Yule's short stories have been published in The Eildon Tree and Pushing Out the Boat. She is currently studying for an Open College of The Arts degree in Creative Writing and has recently had a poem accepted for Markings. She is developing a Doric play called Kitten Heels. Knotbrook Taylor has just discovered a name for the type of poetry he writes: existential. He likes the sound of the word and it goes some way to explain why he writes. His poems have been published in various literary magazines in Scotland and he won the Ottakars Regional Poetry Competition in 2001. He has also performed at the Fringe and Shore Poets. Helen Elizabeth Ramsey is defined by constant change, and her writing is similarly influenced, drawing inspirations from all the places she has lived and jobs she has sampled. She spent a year as President of the Creative Writing Society at Aberdeen University, where she also discovered a taste for public readings. 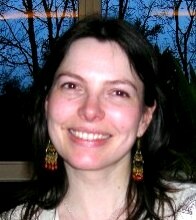 Her short stories are published in their anthologies, including Freeze. Born in Lancashire, but resident in North-East Scotland for twenty years, Haworth Hodgkinson is best known as a poet, but he also writes short stories and is involved in music and theatre. He chaired the Lemon Tree Writers in Aberdeen from 1999 to 2005 and was literature editor for the erstwhile Spot. His poetry has appeared in Storm, Pushing Out the Boat, The Broken Fiddle, Breaking New Ground and New Writing Scotland, as well as on the Dead Good Poets and Spring Tides websites. He is the Founder and Director of wordfringe. Aberdeen based dancer/choreographer and teacher Mhairi Allan trained in contemporary dance and has spent the past few years creating pieces of work for both community and professional performance. She works with cross generational and older dancers utilizing fresh music compositions. She would love to work more with sound, lighting and text. She has recently returned from India, where she was a participant in Facets 2006 International Choreography Laboratory at the Attakkalari Centre for Movement Arts in Bangalore. 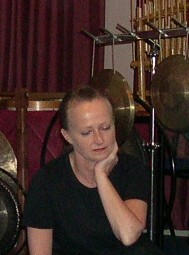 Amanda Armitage writes: My music is mainly improvised and has its roots in a closeness to nature. 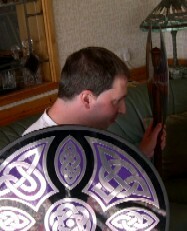 When I am playing I imagine soaring over Scottish hills or looking out over a calm shimmering sea. 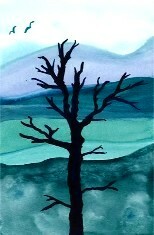 The tunes are drawn out of the sense of freedom and openness these scenes inspire. 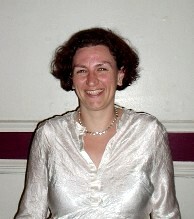 Cath Ferguson is a recent immigrant to Aberdeen (from Edinburgh). She has been playing guitar since she was a teenager, and she plays a lot around the folk sessions in Aberdeen, including at the Globe and the Blue Lamp. 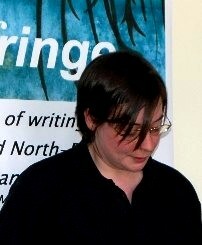 She has also had a few short stories published as well as short plays performed at the Traverse in Edinburgh.